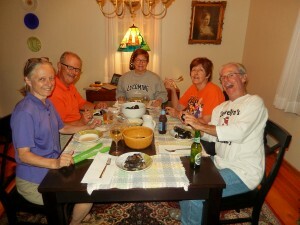 Five friends decided to celebrate a birthday on Monday, 9/29. Where to go was the question. We decided to visit for the first time Lula Brazil. 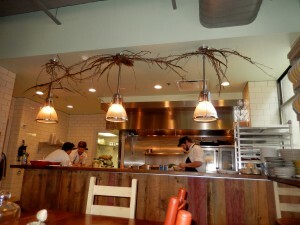 This restaurant is one of the newest additions to the culinary trail at the Delaware Beaches. As you all know, Rehoboth Beach is known for its diverse restaurants. 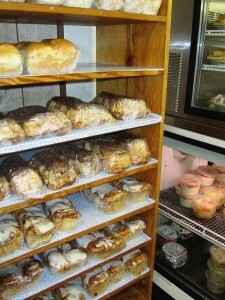 Our residents and visitors are very particular about their foods. Some are foodies at heart, others pretend to be….they all want to have a good time, though. 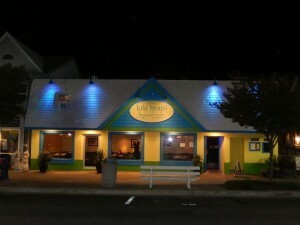 Lula Brazil is located at 234 Rehoboth Avenue, Rehoboth Beach, DE 19971. Tel. 302-212-2755. Website? http://www.lulabrazil.com. They take reservations! Guilty!! We were so loud. Thank God it was Monday night and the restaurant was quiet….not at our table. Look at us here!! 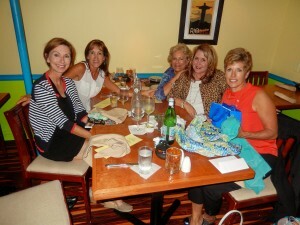 We are the friends that dine…any time, anywhere, we are game for a good meal…and wine. 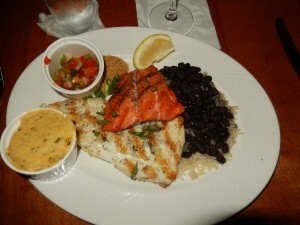 Brazilian cuisine is influenced by various cultures. 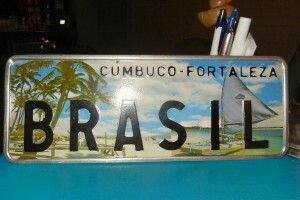 This restaurant is focused on coastal Brazil. They do have the traditional Feijoada or stew with black beans and the Moqueca, which is a seafood stew, among other traditional dishes. Some of us started with a house salad. 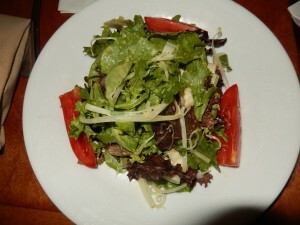 The dressing was particularly good, made with passion fruit. You are not going to see the dressing on the photo. It was light but definitely very good. The menu is written in Portuguese with the English translation. 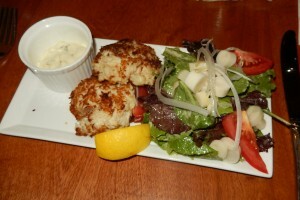 Brazilian Crab Cakes with salad and passion fruit remoulade was ordered as an appetizer. 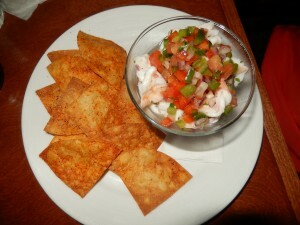 The Shrimp Ceviche was very good with jicama salad. Lime juice a predominant flavor. 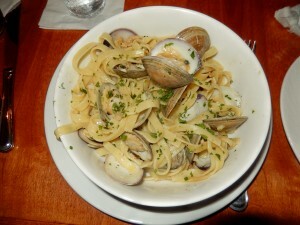 “Linguine”, little neck clams in a garlic wine sauce….dinner. 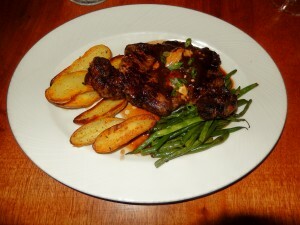 A special of the evening was the Rib Eye. One of us wanted it. The Cabi Girl. The salmon was ordered but the chef came out to tell us they did not have enough so they were also making a special dish, adding flounder…with a plantain puree which was very good. 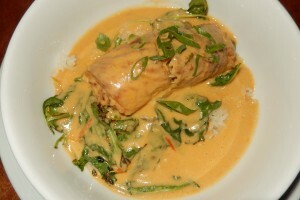 The fish stuffed with crab was flounder, poached in a fragrant coconut veggie sauce. We really had had enough food, so dessert was not necessary. But, since they knew we had a birthday celebration, an order of Brigadeiro arrived. 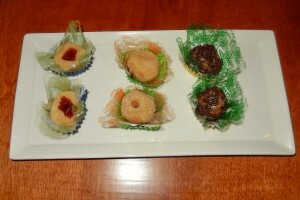 These sweet balls or bonbons are made with condensed milk, and very similar to truffles, but a different consistency. They are popular in Brazil and they get their name after a Brigadier that helped stop a communist coup in Rio. Our service was excellent. We had their undivided attention…..look for some salsa classes…might be coming soon to Lula Brazil. Tried and true recipes are always found on church cookbooks, school cookbooks, and other organizations. Anyone that likes to cook is a collector of these cookbooks. Having worked on a cookbook myself, it does take time to compile recipes. And, if you forget someone’s favorite recipe, forget it….chaos, and apologies will have to follow. 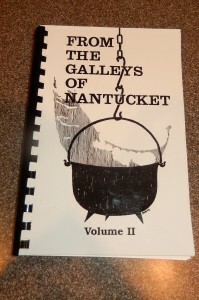 The Baked Eggplant Casserole recipe that will follow is from the recipe book of The Galleys of Nantucket. This cookbook was published in 1998 and it is now in its 17th edition. I bought Volume II. The Ladies’ Union Circle of The First Congregational Church in Nantucket, MA, are responsible for getting all these wonderful recipes. Many are given by the residents of Nantucket. The ones that don’t have any names are recipes used by the islanders; they just don’t know where the recipes came from. I was reading the book and it does have great recipes. One, that was so simple, caught my attention and I think is perfect for Meatless Monday; a day of the week when maybe you might just want to leave meat aside. Really, it can be done any day, you know what I mean. 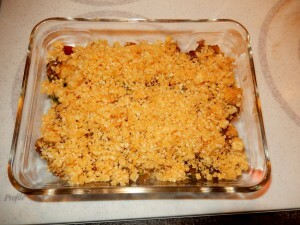 The recipe could be made gluten free by using gluten free barbecue sauce, and bread crumbs. These ingredients are easily found in any grocery store. Peel eggplant and dice into 1 1/2 inch cubes. Cook 10 minutes in boiling, and salted water. Drain. Mix barbecue sauce and onion together. Let it stand 5 minutes. While waiting, slice the tomatoes. Fold sauce mixture, eggplant, garlic and parsley. Looks messy, doesn’t it. It is pretty good. You’ll see. Spoon 1/3 of the mixture into a 1 1/2 quart casserole dish. Top with a layer of half of the tomato slices. Repeat, ending with a layer of eggplant. 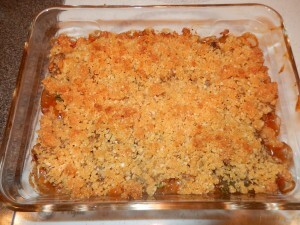 Mix butter, bread crumbs and cheese. Bake for about 45 minutes and until it browns a bit on top. Note: You can easily double this recipe. 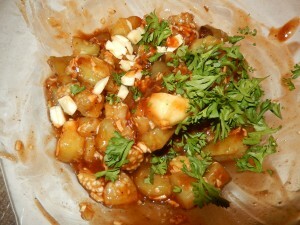 It can be used as a main dish with other veggies on the side. The recipe really surprised me. It tasted so good. 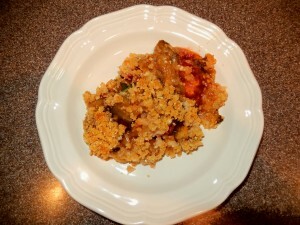 If you like eggplant, this one is a winner. You might want to double it if you have hearty eaters in your household. 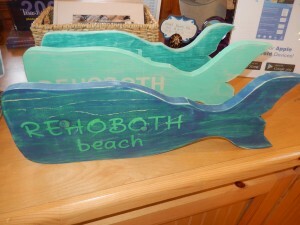 Rehoboth Beach, Delaware is located only about 2 hours and 20 minutes from Philadelphia. Crawling Philly for the day is no big deal. We arrived at Talula’s Daily in the afternoon. Come to think of it…..right before 5 p.m. Perfect timing, right? It is located at 208 West Washington Square, Philadelphia, PA 19166. Tel. 215-592-6555. Website? http://www.talulasdaily.com. Talula’s Daily is part of the Starr Restaurant Group in Philly known for quality of food and unique restaurants. 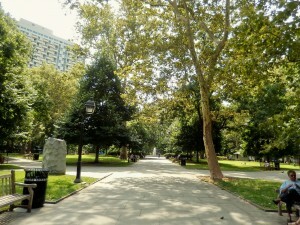 Washington Square is part of the Washington Square West and Society Hill neighborhoods of Philadelphia. 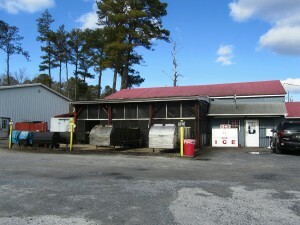 It is a U.S. National Register of Historic Places. Walking around these squares and neighborhoods is always a treat. Residents do enjoy the outdoors. 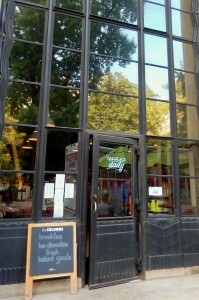 Talula’s Daily is not a big restaurant but when you come in you can see how cozy it is. 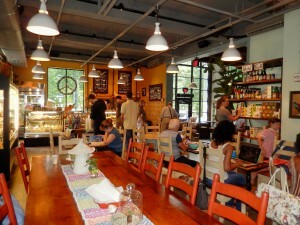 The Farm Table or Communal Table is in the middle of the room with smaller tables around it. It is the “it” table to grab. We, actually, did but I can see that for dinner it might be a quest. The restaurant offers a wide range of foods….from soups to nuts and anything in between with drinks to accompany your choices. 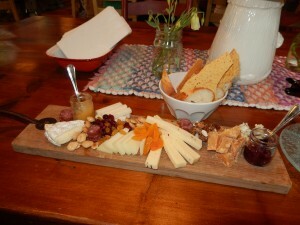 We were fixed up with a variety of cheeses. That’s all we wanted. Great presentation. 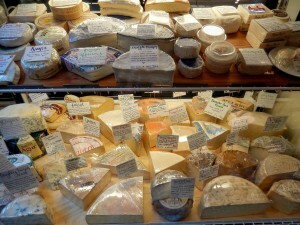 All cheeses delicious with my particular favorite….the Beemster Goat Gouda. Note: Please check the website. 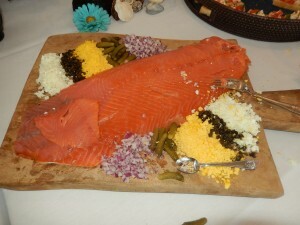 If very informative with plenty of dining events that look so much fun!! And, “Like” them on Facebook. Time is flying by. Where did September go? The Delaware Beaches and Ocean City, Maryland have plenty of events during the Second Season at the Beaches. 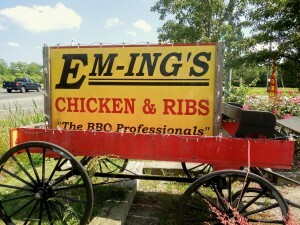 One thing for sure is that you will find a Pig Roast the last Friday of the month at the very popular Em-ing’s, located at the corner of Rt. 113 & Rt. 610….address is Bishopville, Maryland, right on the border with the Delaware line. Cannot miss it!! Tels. 410-352-5711, 888-458-7436. Website? 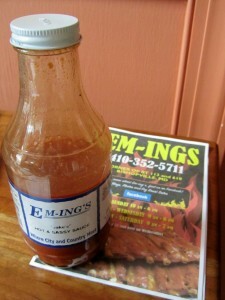 http://www.em-ings.com. They are open Monday through Wednesday from 9 a.m. until 7 p.m., Thursday through Saturday from 9 a.m. until 8 p.m. and on Sunday from 10 a.m. until 6 p.m. You can also keep up to date with them by following Emi-ng’s on Facebook. I have been a fan of Em-ing’s for years. I like their End of the Month Friday Pig Roasts, as well. They are popular and until the last bit is sold, they will be there. Today, is the day!! It is their first one of the Fall Season. 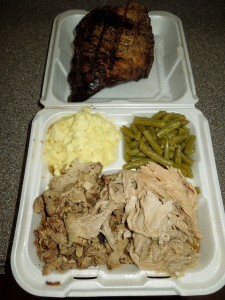 It is a very professional operation…catering, online sales, turkeys for the holidays…check them out!! Traveling on Rt. 113 north or south? 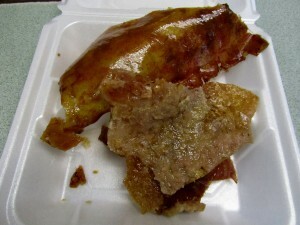 Pick up some carry out and keep them happy while driving. 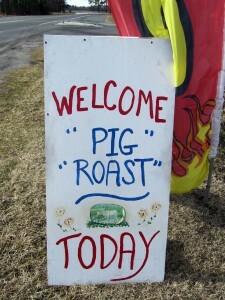 I know that for some roasting a pig seems a little….shall we say too much. But, for many it is the most delicious thing. And, the skin…crispy is awesome! I know, not very healthy, but it is only once a month. Everything is prepared inhouse….You can get every day BBQ; beef, chicken, ribs…. 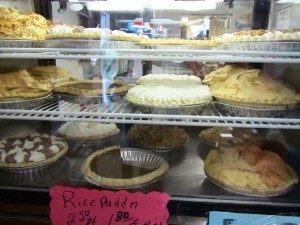 rice pudding, corn bread, great pies, including some sugar free ones, and homemade sweet breads. Grab a bottle of BBQ Sauce or Hot Sauce….pretty good too. 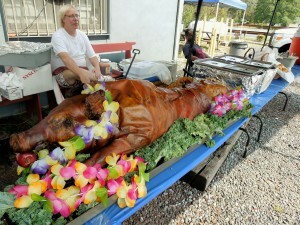 After the rain event on Thursday….this is an amazing Friday for a Pig Roast!! Have a good one! Second Season at the Delaware Beaches is really nice. Everything is open, no meters, except in Lewes, cooler temperatures…..and an amazing shoreline. I have taken a few days here and there to do some Fall Travels….plenty of people take this time of the year to visit resorts, island, etc. etc. that otherwise would be packed during the summer months. Plenty of activities and events at the Delaware Beaches….here are a few of my picks for now. 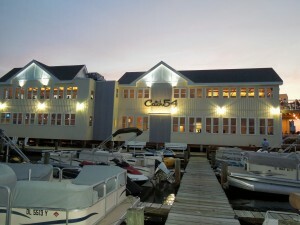 WEDNESDAY, 9/24 – 3-COURSE INTERACTIVE-CLASSROOM-STYLE COOKING DEMO – 6:30 p.m. -Catch 54, Route 54, Fenwick Island. First Course? Deviled Eggs, Hurricane Drink, Second Course? Shrimp Etouffee, Sazerac Cocktail, Third Course? Bourbon Cake, Milk Punch. Price $25.00 Please call Jim Affeldt, 302-436-8600. 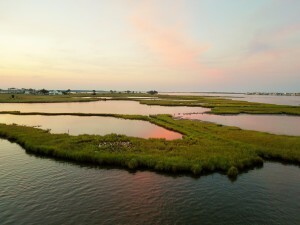 Best scenic views of the marshes in Fenwick Island! THURSDAY, 9/25 – REHOBOTH BEACH HISTORICAL SOCIETY FALL WALKING TOUR – A 45 minute gentle stroll around downtown Rehoboth Beach starting at 9 a.m. at the Bandstand at the end of Rehoboth Avenue and the Boardwalk. The cost is $10. Reservations are required, so please call 302-227-7310. The tour will provide general info. 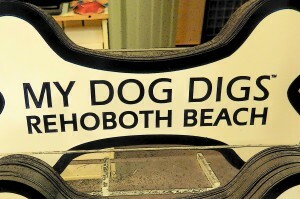 about the history of Rehoboth Beach. It will also give you information on several of the storms that have shaped this coastline. THURSDAY, 9/25, FRIDAY, 9/26 – MONTHLY SCREENINGS BY THE REHOBOTH BEACH FILM SOCIETY: LIFE ITSELF – 7:00 p.m.
On Thursday – Location – The Den at Bear Trap Dunes in Ocean View, Delaware…West of Bethany Beach. Admission is $4 for members and $6 for non-members. Directed by Steve James and produce by Martin Scorcese and Steve Zailian, Life Itself recounts the inspiring and entertaining story of film critic and social commentator Roger Ebert. Based on his memoir of the same name, the movie tells of his journey, from school newspaper reporter, to movie critic, to Pulitzer Prize winner, to t.v. household name, to the finding love at 50, and finally his “rhird act” as a major voice on the internet when he could not longer physically speak. Proclaimed by many to be the best documentary of the year. This is a must see for anyone who loves movies. There will be a post film discussion at the Movies at Midway with William Nack, a close friend and colleague of Roger Ebert for over 50 years. FRIDAY, 9/28 – REHOBOTH BEACH MUSEUM FALL OPEN HOUSE – 11 a.m. to 3 p.m. at the Museum, 511 Rehoboth Avenue. Refreshments will be served. This will be an opportunity for locals and visitors alike to go through the Museum at your own pace. The latest exhibit “Cruisin’, a historical look at not just toys on wheels, but an important mode of transportation for some, as early as 1817. 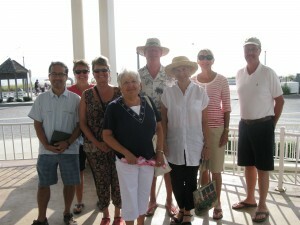 Through the years Rehoboth Beach has been called the “Most Popular Beach in America”. The Museum is next to the Visitor Center. Questions? 302-227-7310. SUNDAY, 10/5 – THE EVENT FOR PET LOVERS AT THE BEACHES – 4TH ANNUAL BARK ON THE BOARDS – The Delaware SPCA will host this event from 10:30 a.m. until 12:30 p.m. Festivities will take place before the walk, starting at 10:30 a.m. Join the Rehoboth Beach community as we make strides agains animal homelessness!! First 200 to register will receive a Bark on The Boards Dog Bandana!! More info. and to register, please visit http://www.delspca.org. Visiting Nantucket with a local has been great. Knowing where to go, what to see, and what to appreciate. We decided to stay in and cook seafood. 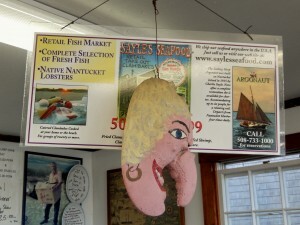 A visit to Sayle’s Seafood located at 99 Washington Street Extension was what we needed to do. Tel. 508-228-4599 Website? 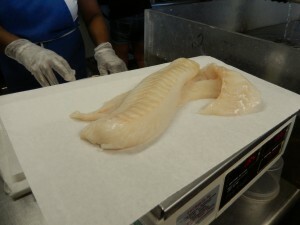 http://www.saylesseafood.com. You can order seafood and appetizers, chowders, sandwiches and even dinner and sit out on their small porch. Or, take it home. 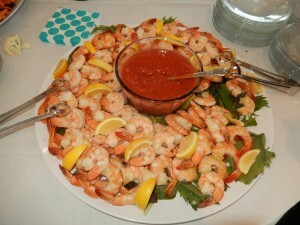 Sayle’s Seafood offers catering services, including famous Clambakes. 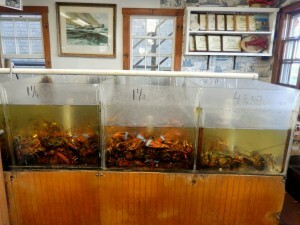 We did not choose lobster but there were plenty to choose from. From a few pounds to over 4 pounds. They, actually, had pretty good deals. Cod that’s what we chose and 4 or 5 pounds of mussels. These had just come in. We had everything else we needed at the house. 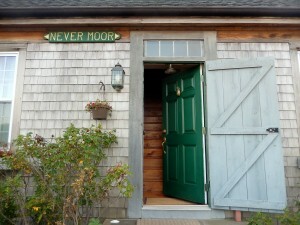 And, to Never Moor we went. The cod was so easy to prepare. Just grated lemon, lemon juice, pepper, a bit of salt and butter. On 425 degrees cooking it 10 minutes to the inch. 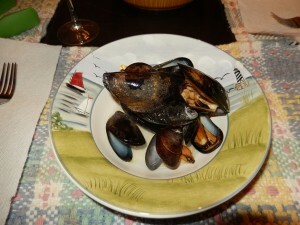 The mussels were gorgeous and came out just beautifully. 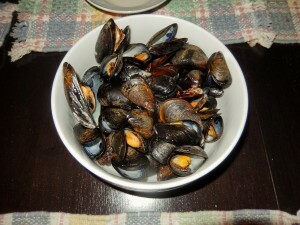 I love mussels and order them often. But, these climbed to a different level. Butter, wine, and their own broth….so delish! The housemates were getting restless….too much wine at the table. I sat down and looked at all of them and thought…..Friends are always there when you need them. We went outside after dinner. It was so quiet. 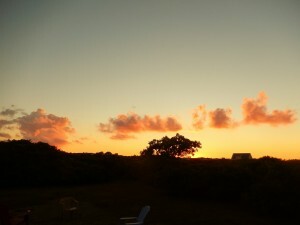 The sunset was awesome!! And, then the stars came out. Well, I was not sure how this recipe was going to come out. When I read it….it caught my attention. 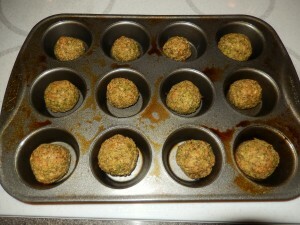 Meatballs, broccoli, cheese….I thought the almond gravy recipe I have would be great to dunk these little ones in. Plus, it is Gluten Free! You can use your food processor, but I used the NutriBullet instead for the grinding of the almonds. For the broccoli, I used the blender. Place the almonds in the NutriBullet or food processor. Go ahead and process until coarsely ground. Transfer them to a medium size bowl. 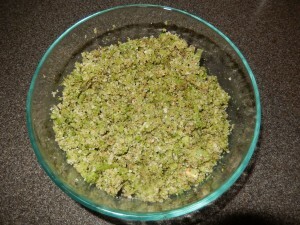 Place the broccoli florets in the blender or food processor. Pulse until chopped. Add the chopped broccoli, cheese, and garlic to the almonds and season with salt and pepper to taste. Spray a mini-muffin tin with cooking spray. 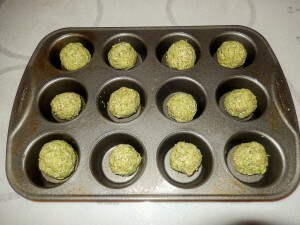 Form the broccoli mixture into 12 balls, squeezing them a little to make sure that they hold their shape. Place each one in its own cup in the muffin tin. Bake until they are golden on the outside and heated through. Even though the recipe said 20 minutes, mine took about 10 more minutes. Remove tin from the oven and run a butter knife along and underneath each meatball to loosen them before gently popping them out. 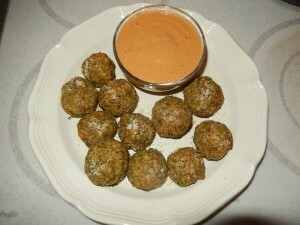 Sprinkle with extra Parmesan cheese and serve with Almond Gravy….recipe to follow. 2 medium tomatoes (I used the cocktail tomatoes that are larger than the grape tomatoes. 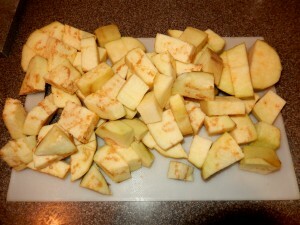 I cut them in half; enough to make about 1 1/2 cups. 2 tablespoons fresh basil or 2 tablespoons Basil Paste found in the vegetable section at grocery stores. 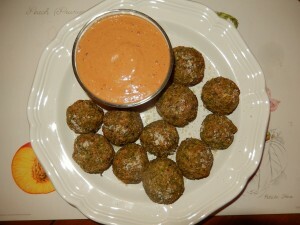 Process almonds in a food processor or in the NutriBullet with the garlic, tomatoes, paprika, vinegar, basil, and milk. Process until smooth. You don’t have to heat this gravy…it is great also on steamed veggies. Enjoy and make it your own!! A Taste For Art Of Southern Delaware, Fundraising Event, Children & Families First, Saturday, October 11, 2014, Indy Hall at Independence, Millsboro, Delaware, Delaware Beaches, Coastal Delaware, Beer Wine, Martini Bar, Live Music, Silent Auction, Shopping Galore! 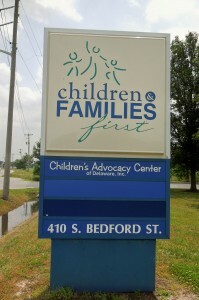 Children & Families First is an organization that started in 1884. 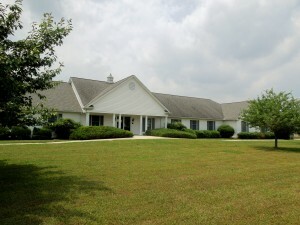 They provide services to 5 agency locations throughout Delaware, besides other family services. 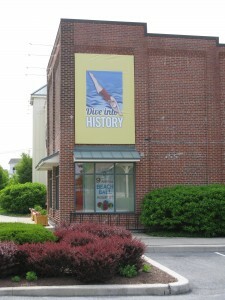 They are located at 410 S. Bedford St. in Georgetown, Delaware. Website? http://www.cffde.org. Southern Delaware is a great place for fundraising events. Children & Families First has 2 important events to raise funds during the year. The first one happened to be in May. I will be sure to let you know next year the information because it was so much fun this year when the event called Brunch & Bubbly was hosted by the Lewes Yacht Club in Lewes, Delaware. 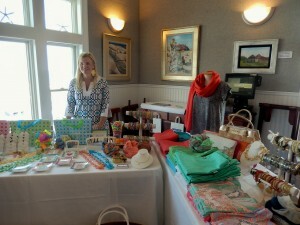 Basically, it was a brunch and shopping event with a percentage of the proceeds going to Children & Families First. Local shops gathered through the room and guests were able to shops to their hearts delight. In this photo Jane & Georgie is showcased. You could stop and sip bubbly and have something to eat…meet and chat with others that gathered on a beautiful day in Lewes. 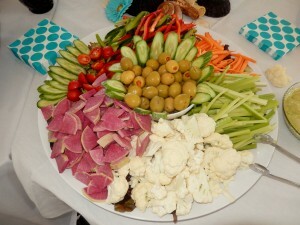 The Lewes Yacht Club outdid itself with great food. I am showing you this so that you can take a peek at the type of event that Children & Families First offers to the communities of Southern Delaware. 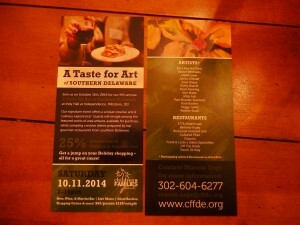 EVENT: A TASTE FOR ART OF SOUTHERN DELAWARE, SATURDAY, OCTOBER 11, 2014!! This second fundraising event takes place at Indy Hall at Independence, 23767 Samuel Adams Circle, Millsboro, Delaware 19966. It is actually between Rehoboth Beach/Lewes and Millsboro. This will be the 5th year in which Children & Families First again offers Southern Delaware one awesome evening. This Signature Event for Children & Families First offers a unique creative arts and culinary experience. Guests will mingle among the featured works of area artisans, available for purchase, while at the same time sampling creative dishes prepared by top gourmet restaurants from Southern Delaware, right in front of your eyes. A little bit of this and a little bit of that! 25% of the sales will benefit Children & Families First. This evening will give you a jump on your Holiday shopping…..great prices and all for a worthy cause. The cost is $65 per person or $120 per couple. Beer, Wine, and a fabulous Martini Bar, Live Music, Silent Auction and Shopping Galore all in one night. 7:00 p.m. until 10:00 p.m.
As of the beginning of August the restaurants participating are: 1776 Steakhouse, Bethany Blues, Bluecoast Seafood Grill, Cultured Pearl, Espuma, Frank & Louie’s Italian Specialties, Off The Hook, Touch of Italy, Mariachi, and Abbotts Grill. Also participating are: Delaware Distilling Co., 16 Mile Brewery, Ristorante Zebra, Back Porch Cafe, Eastern Shore Coffee & Water, and Taylor’s Toffee. Artists participating as of beginning of August are: Back Bay Art Glass, Basket Whimsies, Heidi Lowe, James Kinnett, Jane Knaus, Kathy Buschi, Kevin Fleming, Kim Klabe, Mitzi Ash, Pam Bounds Seemans, Patti Backer, Peggy Geilis, and Wesner Stack. For more information, please contact Marcie Urgo at 302-604-6277. Email: marcie.urgo@cffde.org. Website? http://www.cffde.org. Comments Off on A Taste For Art Of Southern Delaware, Fundraising Event, Children & Families First, Saturday, October 11, 2014, Indy Hall at Independence, Millsboro, Delaware, Delaware Beaches, Coastal Delaware, Beer Wine, Martini Bar, Live Music, Silent Auction, Shopping Galore!